Thank you for your interest in Pure Storage solutions. Pure Storage helps innovators turn data into intelligence. Our all-flash storage platform, The Pure Data-Centric Architecture, is effortless to use, efficient from end to end, and evergreen to upgrade, delivering real-time data to power customers’ mission-critical production, Multi-Cloud, DevOps, and modern analytics environments. 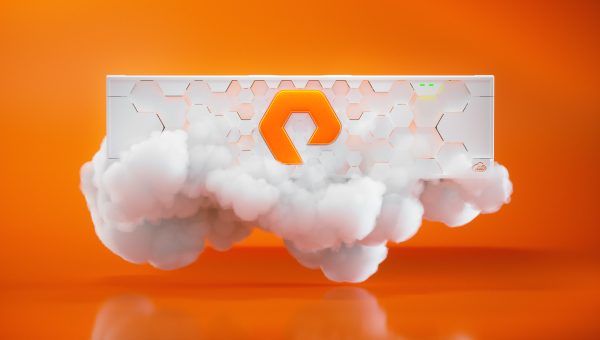 Pure Storage® has flipped all-flash storage on its head – again. Check out how 100 percent NVMe and 100 percent software-driven flash combine to enable unprecedented performance and capacity density in an all-flash array for mainstream enterprise environments and next gen web-scale applications. FlashArray™ products enable businesses to start small and grow as they need with high-performance, scalable data storage and the astonishing simplicity of Pure. 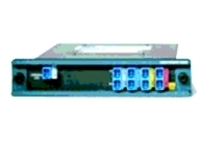 Modern converged infrastructure (CI) solutions are smarter, simpler, smaller, and more efficient than ever before. They are virtual machine-aware and hybrid cloud-ready, while retaining the predictability and efficiency advantages of dedicated compute and storage tiers. 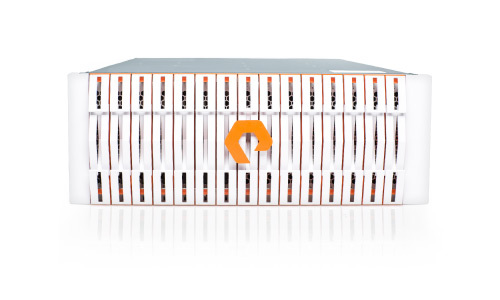 Pure Storage and Cisco deliver FlashStack, a modern converged infrastructure solution that allows customers to modernize their operational model. Storing data in data lakes and silos is so 2008. To compete in today’s economy, organizations must unify their data and then analyze it for intelligence and advantage. For that, there’s data hub. FlashBlade™ enables customers to process ever-growing datasets faster, for better insight. It’s driven by three key innovations: Elastic Fabric, Purity for FlashBlade, and scale-out blade. 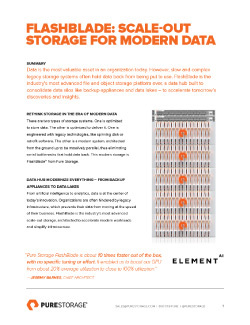 FlashBlade™ is the industry's most advanced file and object storage – architected to consolidate complex data silos (like backup appliances and data lakes) while accelerating tomorrow's discoveries and insights. The ObjectEngine™ platform is the industry's first data protection solution born from flash and cloud to truly protect modern enterprises. Now you can realize rapid backup, recovery, and data reuse, seamlessly between private and public clouds. Are you suffering from slow recovery syndrome? 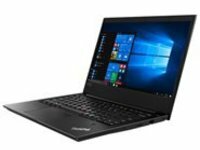 Delayed data backup and recovery. Your Hybrid Cloud Journey Just Got a Lot Easier. Pure makes hybrid easy – enabling businesses to design applications that take advantage of the agility and innovation of multiple clouds at the same time. 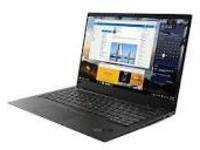 Cloud data storage from Pure makes it possible. Run mission-critical enterprise apps seamlessly in the cloud using Pure Storage Cloud Block Store. Pure bridges the cloud divide with this industrial-strength block storage. Build your apps once, and run them anywhere. The Evergreen™ Storage experience is like SaaS and the cloud, but on-premises: Evergreen continuously delivers Pure innovations in software and hardware to you – without any disruption, downtime, or data migrations. Imagine buying storage capacity once and enjoying upgrades year after year – without losing a penny on your investment. Now imagine doing that without disruptions of any kind – even when you cross generational boundaries. That’s Evergreen™ Storage. 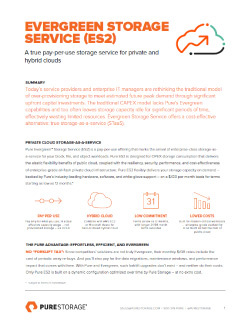 Your storage cloud on demand: Pure’s Evergreen™ Storage Service (ES2) delivers OPEX storage-as-a-service (STaaS) for private and hybrid clouds. 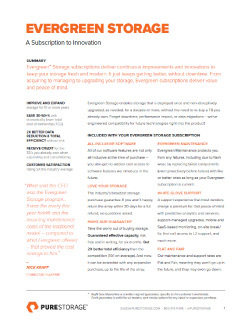 Now you can get the effortless, efficient, and Evergreen™ Pure Storage experience, on demand, with dramatically lower TCO. © 2019 Pure Storage Inc. Pure Storage, the Pure Storage logo, FlashArray, FlashStack, FlashBlade, Evergreen, and ObjectEngine are trademarks or registered trademarks of Pure Storage, Inc. or its affiliates in the U.S. and other countries. Other names may be the trademarks of their respective owners.